General Charles James Napier was sent to confront the tens of thousands of Chartist protestors marching through the cities of the North of England in the late 1830s. A well-known leftist who agreed with the Chartist demands for democracy, Napier managed to keep the peace. In South Asia, the same man would later provoke a war and conquer Sind. 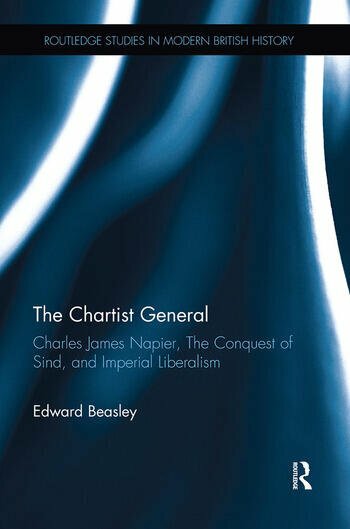 In this first-ever scholarly biography of Napier, Edward Beasley asks how the conventional depictions of the man as a peacemaker in England and a warmonger in Asia can be reconciled. Employing deep archival research and close readings of Napier's published books (ignored by prior scholars), this well-written volume demonstrates that Napier was a liberal imperialist who believed that if freedom was right for the people of England it was right for the people of Sind -- even if "freedom" had to be imposed by military force. Napier also confronted the messy aftermath of Western conquest, carrying out nation-building with mixed success, trying to end the honour killing of women, and eventually discovering the limits of imperial interference. Edward Beasley is Professor of History at San Diego State University. He is author of The Victorian Reinvention of Race, Empire as the Triumph of Theory and Mid-Victorian Imperialists, all available from Routledge.